Billboard's influential music chart is about to step into the 21st century as the company announced it will soon include metrics from on-demand Internet streaming services like Apple's Beats Music to its Billboard 200 album rankings. Starting next month, the Billboard 200 chart will incorporate on-demand streaming data and digital track sales provided by Nielsen Entertainment, a major step toward validating the impact of popular streaming platforms. Billboard considers the updated system to be the biggest shift in methodology since it began tapping Nielsen's SoundScan for absolute sales in 1991. With SoundScan, charts are based on point-of-sale data, not easily manipulated surveys of record sales, reports The New York Times. For its measurements, Nielsen will feed statistics from "all of the major" on-demand services, including Apple's Beats Music, Spotify, Google Play and Xbox Music. Ad-powered platforms like iTunes Radio and Pandora will not be included in the algorithm. Under the new formula every 1,500 streaming plays count as one album sale. SoundScan and Billboard will also include "track equivalent albums" in which one album sale is equal to ten individual track downloads. "With current On-Demand audio play counts exceeding 100 billion so far this year, this method of consumption has redefined the way success is measured in the music industry," said David Bakula, SVP of Industry Insights at Nielsen Entertainment. "Nielsen's recent Music 360 report reveals that streaming has seen substantial gains in popularity with consumers, with nearly 80 percent of music fans reporting that they have streamed music in the last six months." 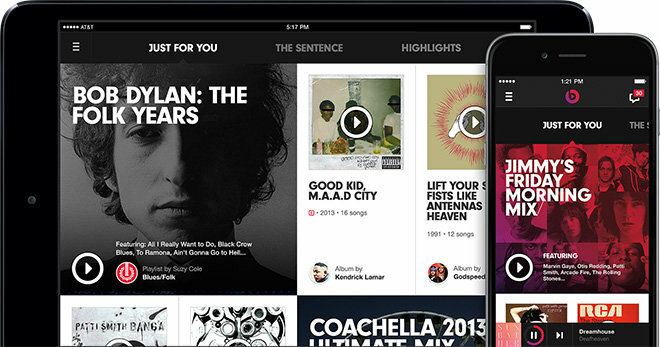 A comparatively minor player in the industry, the subscription-based Beats Music launched in January and gained 110,000 subscribers before Apple purchased the firm for $3 billion in May. Most recently, a report on Wednesday claims Apple is planning to include Beats Music in its iOS app bundle starting in March 2015, meaning the streaming platform would come preinstalled on every iOS device sold. The change will likely prove to be a boon for artists whose streaming plays and digital track downloads outperform traditional album sales. Billboard notes Ariana Grande, Hozier and Maroon 5 as examples. Billboard isn't ditching pure album sales altogether in its move toward digital and will continue publishing those stats in a category called Top Album Sales. Further, genre charts will also continue to use Nielsen's SoundScan data, though this may change in the future. Numbers from the upgraded charting system will debut online at Billboard.com on Dec. 3 and in the Billboard print edition on Dec. 13. The first charts will track album performance for the week ending Nov. 30.